Join Chief Ranger Bill Reid 10 a.m. at the Coventry Farmers’ Market, Nathan Hale Homestead Museum, 2299 South Street, Coventry, CT, for a nature walk in Nathan Hale State Forest. When the walk is over stay and enjoy the Farmers’ Market, which runs from 11 a.m. to 2 p.m. The TLGV rangers will also be at the market with our information booth, so you can pick up the new Explore Guide and information on all the great things to do in the region. 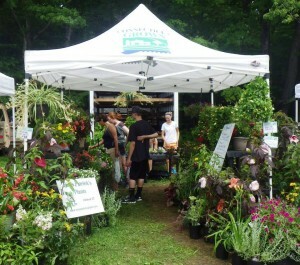 The market is huge and don’t forget to take a tour of the Nathan Hale Homestead museum too.